NEW YORK, NY--(Marketwired - July 28, 2017) - Shema Kolainu, "Hear Our Voices", celebrated the 18th Year of its Annual Legislative Breakfast with a new venue and location: The Princeton Club in New York, New York. 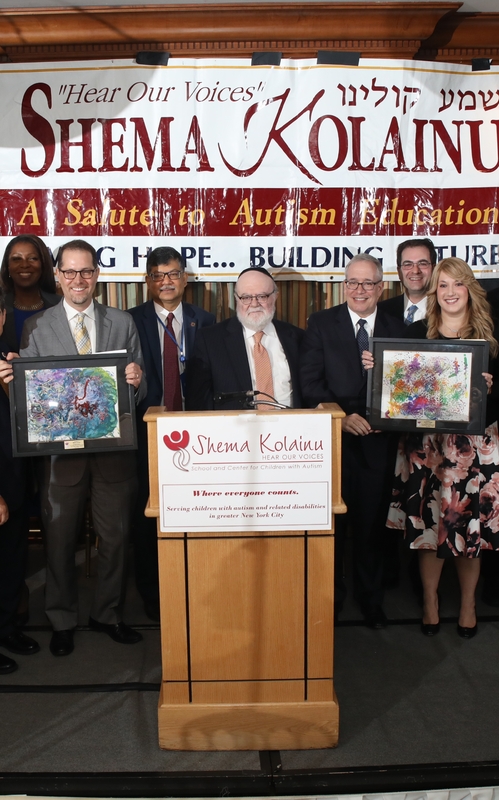 Dr. Joshua Weinstein, Shema Kolainu, "Hear Our Voices" Founder and CEO, welcomed and thanked esteemed guests and honorees for their support of Shema Kolainu and its international research constituency, ICare4Autism. The Legislative Breakfast played host to New York City's most notable legislative supporters and political representatives for Autism Advocacy: Dr.Kathleen Cashin, PH.D -- Member of the Board of Regents, Kalman Yeger and Menachem Lubinsky -- the esteemed Masters of Ceremonies, and Letitia James, the Public Advocate for the City of New York and the second highest ranking elected office in the City. 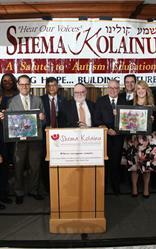 Each honoree was bestowed with an award - individual students' framed artwork, which serve as commemorative milestones of the Shema Kolainu students' accomplishments. The first honoree, Saima Wazed Hossain, Chairperson for the Bangladesh National Advisory Committee for Autism and Neurodevelopmental Disorders, was the recipient of the International Champion Award for the valuable contributions made to the Autism Community. His Excellency Masud Bin Momen, the Bangladeshi Ambassador to the United Nations accepted the award on her behalf. As a result of her activism she has become a role model for the international community, and in turn, Bangladesh has revolutionized their approach to promoting the rights of those afflicted with autism. The second set of honorees, Brad Lander and Mark Levine, both New York City Council members, were the recipients of the City Leadership Award. 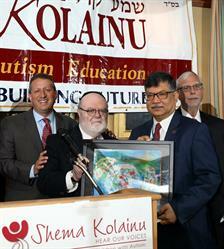 Their commitment to the Autism Initiative, funded by the New York City Council, greatly enhances Shema Kolainu's ability to provide parent-training workshops for families with autistic children. Their ongoing advocacy has allowed us to fund our parent training and workshops for caregivers, advocates, parents, and families. The final honoree, Jennie Berger, Community Liaison for the Office of New York City Council Speaker Melissa Mark-Viverito, was the recipient of the Hakoras Hatov Award. Jennie has tirelessly championed the autism initiative. Jennie's efforts have furthered Shema Kolainu's mission and preserved the existence of its educational programs across the city. 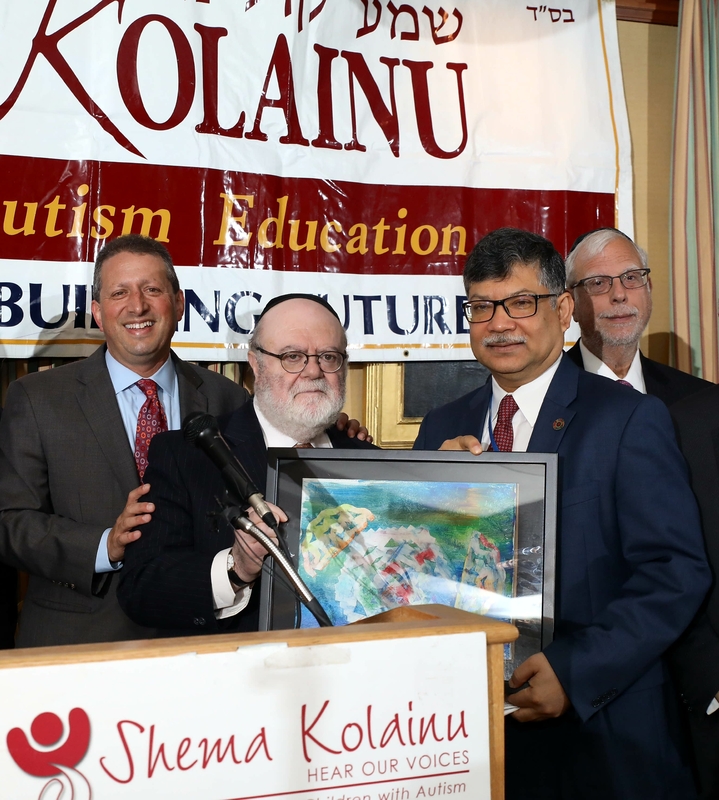 As the 2017 Legislative breakfast came to a close, Dr. Joshua Weinstein reflected on the many blessings and miracles that have contributed to Shema Kolainu's success and its students' achievements. Founded in 1988, Shema Kolainu began with three children and is now a model school that services over a thousand children. Dr. Weinstein also thanked the school's many community supporters and commented on how 2018 will be a monumental year for Shema Kolainu with the onset of its 20th anniversary and the commencement of the school's expansion project for a 3rd floor addition, which is made possible thanks to a $2.1 million grant. Another $2 million is being sought for the 4th floor extension for the Media Center and additional classrooms.